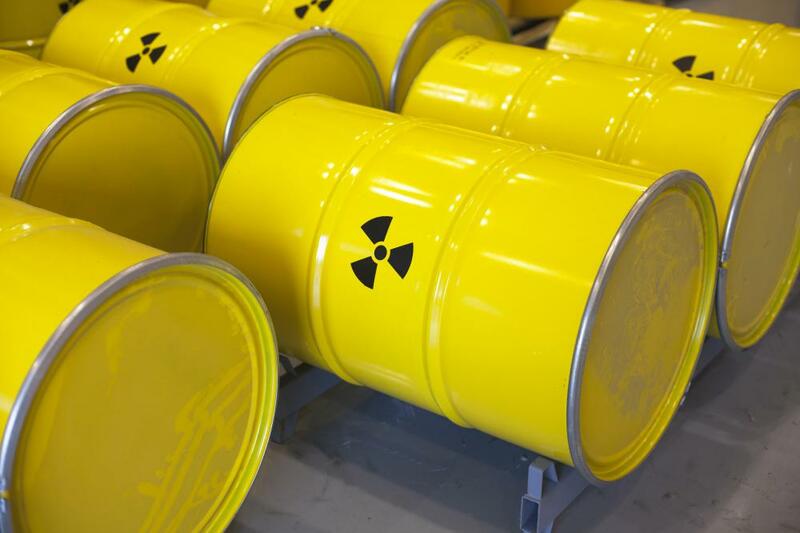 The different types of hazardous waste storage include containers, tanks, waste piles, surface impoundments, drip pads and containment buildings. These types of containers are often used to temporarily hold hazardous waste until it can be treated and disposed of elsewhere. In some cases, the storage site might also act as the permanent disposal site for hazardous waste. Hazardous waste storage often is regulated by a government environmental agency. A hazardous waste container is a portable encasement that might be as large as a railroad car or as small as a test tube. A container must be in good condition and provide an appropriate amount of enclosure to fully contain the waste without a chance of leaks. The material used to compose the container must also be compatible with the type of waste to prevent corrosion or adverse chemical reaction. The container should also keep the hazardous waste from reacting with other potentially hazardous materials. A tank is similar to a container, but it is stationary. It might be completely enclosed or have an open top. It should be made of non-earthen materials, such as steel, plastic or fiberglass. A waste pile is an unenclosed storage area for non-liquid hazardous waste. It must include a double liner and a collection system for any liquid that leaches from the pile. A surface impoundment is very similar to a waste pile, but it is made using a natural depression or an excavation. Both waste piles and surface impoundments are only temporary hazardous waste storage and treatment options. A drip pad is a type of hazardous waste storage used in the wood preserving industry. Lumber manufacturers often use a pressure treatment process to apply preservatives to lumber, preventing decay. A drip pad is constructed under the pressure treatment equipment to collect any liquid waste or runoff that drips from the wood after the process is complete. A drip pad is made out of non-earthen materials and must include a curb to prevent runoff into the environment. Its surface slopes into a liquid collection system. A containment building is a completely enclosed, self-supporting building that is used to store hazardous waste that does not have to be kept in containers. It is used for bulky items and is essentially a fully enclosed waste pile. These piles can be treated in the containment building before being moved to an outdoor facility. What is a Hazardous Waste Program?